Before Harry Brock Jr. passed away in 2015, the Harry & Jane Brock Foundation supported Ronald McDonald House Charities of Alabama through our Adopt-a-Room Program. The Brock family understood the importance of giving back and have long been active in making the state of Alabama a better place. 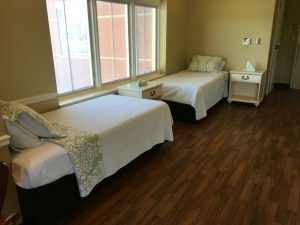 Our Adopt-a-Room program allows families a place to stay close to each other and the care they need. Each one of our rooms has been well used and well loved since their opening in 2007. Thanks to amazing donors like the Harry & Jane Brock Foundation, we have now completed renovations on all current rooms. These renovations included updates that not only make a family’s stay at the Ronald McDonald House more comfortable but allowed us to incorporate items that can help brighten the spirits of the family staying in the room. During these renovations, we have also added new curtains, beautiful quilts on the beds, updated lamps, and even hung new framed pictures on the walls. We are so thankful to each donor, like the Harry & Jane Brock Foundation, who help us serve the families who travel to Birmingham for pediatric medical treatment. To learn more about this important program, contact Kathy Robson, Director of Development, at kathy.robson@rmhca.org or (205) 638-7269.